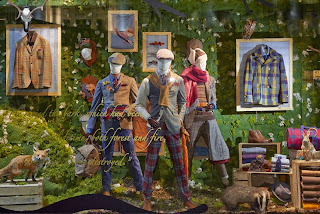 If you happen to be along Regent street, then do check out this scheme at Hackett. With just a short while to go, their new flagship will open in the old Ferrari store further along this iconic street; its so close that we can almost taste it. Very exciting stuff. In the meantime, we love this scheme at their existing store. A bit of greenery, a bit of taxidermy and and whole lot of styling. This brand is so exciting don't you think? 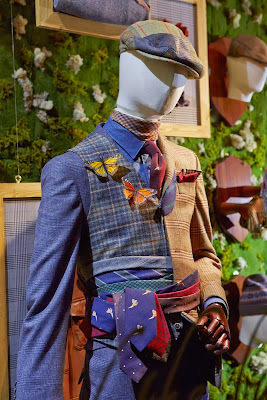 And, isnt it so damned refreshing to see a menswear brand ooze not just a bit but of fun, but barrels of it. Men like to be entertained too. Yes, we do, and these guys draw us in time and again to spend, spend, spend. Oh those devils.